ANTI-ANXIETY AND STRESS RELIEF - The Infinity Cube is suitable for both kids and adults. it\'s a great way to release stress from school and work. 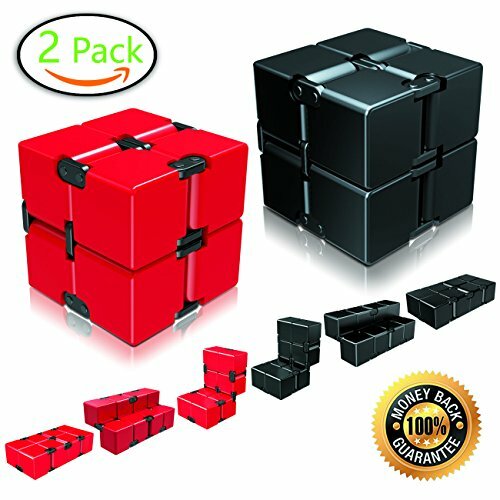 Fidgeting with Infinity Cube will improve your focus, avoid nail biting, knuckle cracking, leg shaking and other fidgeting habits with the use of this fidget cube. QANLITY AND SAFE - The Magic cube made of high quality ABS plastic and durable non-toxic green material. It smooth surface and rounded corners are designed to keep you or your child\'s safe. WARNING - Not for children under 3;children of age 3-7, need play under the adult supervision. The legitimate brand of this product is only Ganowo, buying fake will affect your shopping experience and get no after-sales service.